House Bill 168 | "Limesstones"
The hearing for proponent testimonies regarding HB 168 to modify cemetery law will be on Tuesday, January 30th at 2:30 PM in the Senate Finance Hearing Room. Please see the information below for how to submit your written testimony on behalf of the passage of Ohio HB/SB 168 to Modify Cemetery Law and the witness form that needs to be completed and sent along with it to the email address provided in the communication, if you are not attending the event in person. Allie Harris at her email address provided below. Also, a completed witness slip needs to be emailed as well with the testimony as a proponent for HB 168. 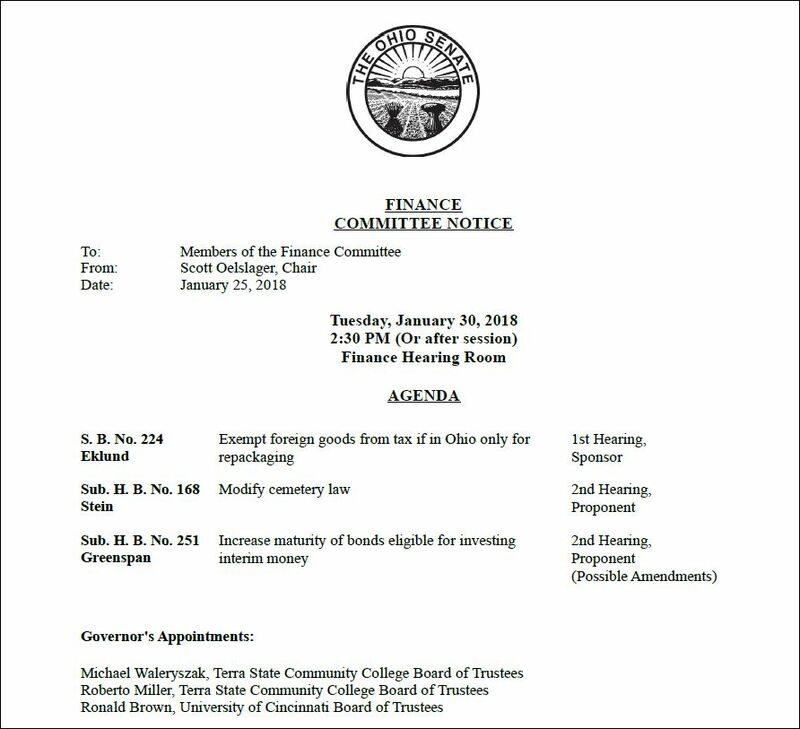 “We will be hearing proponent testimony regarding HB 168 during committee on Tuesday, January 30th at 2:30 PM in the Senate Finance Hearing Room. You are more than welcome to submit written testimony and/or present oral testimony in person during committee. 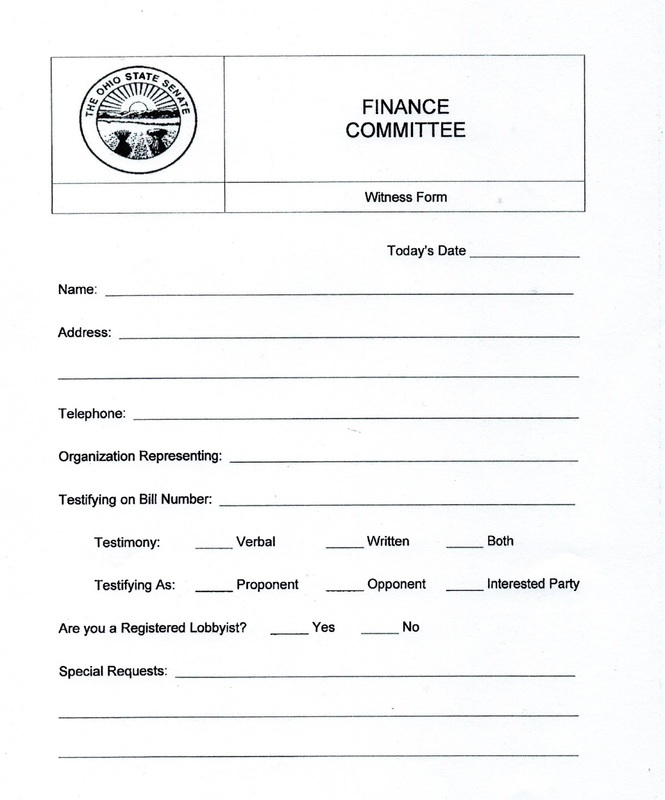 In case you would like to submit testimony, I’ve attached to this email a copy of the Finance Committee Witness Slip, which needs to be filled out and returned with your testimony. If you wish to submit written testimony, it needs to be sent to me (allie.harris@ohiosenate.gov) by 2:30 PM on Monday, January 29th, along with the completed witness slip. If you have any questions, please don’t hesitate to give me a call at 614-466-0626, or email at allie.harris@ohiosenate.gov.